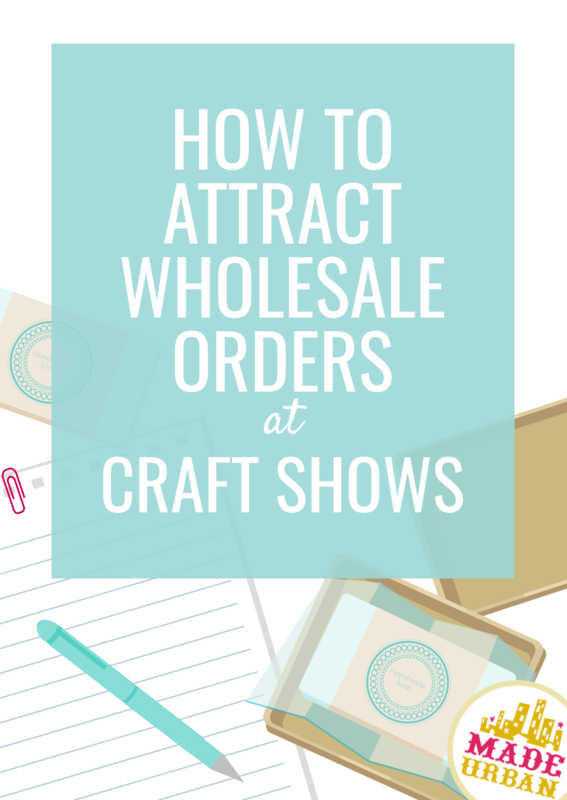 Most of my local wholesale (and consignment) accounts stemmed from craft shows. Local store owners were shopping events I was selling at and asked about carrying my products. I’ve also obtained wholesale accounts by cold calling stores, setting up meetings and bringing samples in, dropping in a store when I’m travelling and asking for contact information, mailing lookbooks, etc. But having a storeowner approach me at a craft show is by far the easiest way…especially because cold calls make me break into a cold sweat. 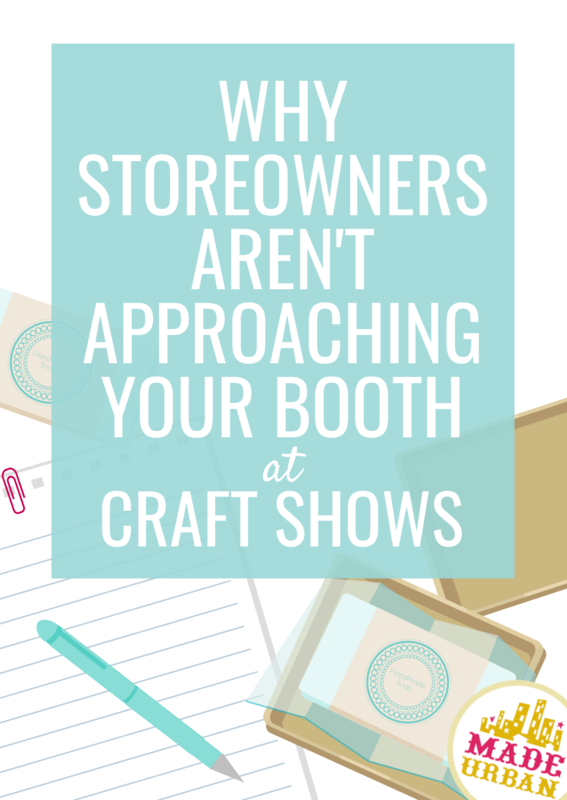 If a storeowner has never approached you at a craft show, or if you have made retail connections at shows but would like to make more, check in on these 5 mistakes to be sure you’re not making them. *Retailers will often have a Buyer who is responsible for sourcing and buying products. But in most cases, the storeowner of a smaller boutique is the owner and the buyer, and the person who will approach you at a craft show. Before you dive into the mistakes, the first thing a storeowner looks for is a unique product. Not “unique” as in no one else has ever sold anything like it before, or each item is one of a kind. Unique as in: it has a strong USP, or strong branding, or it’s a niche product made for a specific type of customer, etc. There must be something that stands out about your product and that’s obvious at first glance. 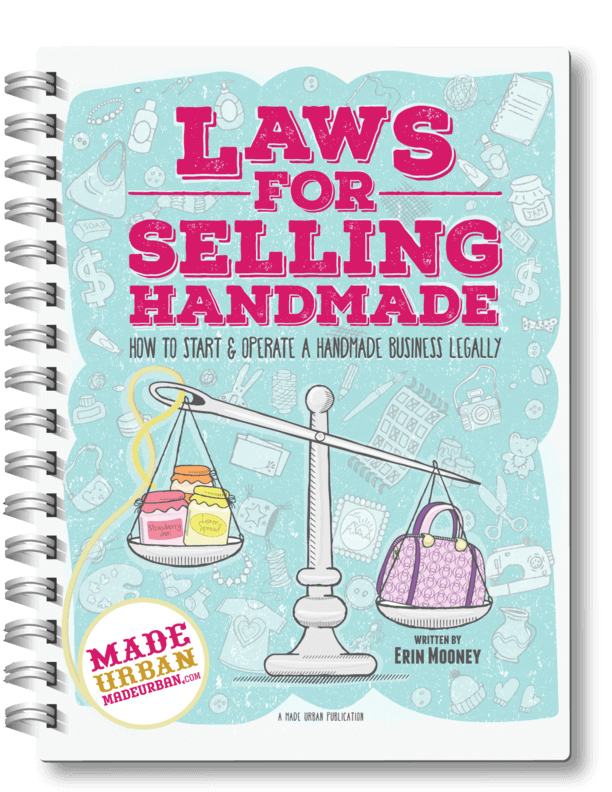 When selling a product that can be mistaken for any other knitter’s, jewelry maker’s or soap maker’s product, the storeowner won’t immediately know why they should carry your product in their store. Storeowners aren’t going to purchase products that don’t produce a healthy profit for them or with price points that don’t make sense in relation to other items in their store. Price your products too low and neither you nor the store profit, and it makes the other products seem overpriced. Price your products too high and it makes your products seem overpriced and hard for the store to sell. Make sure you’re properly calculating your prices. Keep track of how much every. singe. piece of material costs, pay yourself a fair wage and track how much time it takes to make each item and don’t forget about covering your *overhead costs (*not sure what those are or how to cover them? Check out this article). Watch out for all the little expenses that can add up, a long list of ones makes often miss is here. If your prices are too low, raise them. Being creative is the best part of running a handmade business. You can still think outside the box, but your products must fit within an existing box first. Once you’re in that box, then you can get creative. Think about the major retailers you shop with that carry products like the ones you make. How would you describe the style of the store, and the products they carry? Each store has a specific style. For example, a home goods store will follow either a modern style, or a farmhouse style, or a Scandinavian style, etc. They might add their own spin (e.g. Urban Barn’s style is modern with a touch of rustic) but they fit within a popular style category first. When I worked for a major retailer, I was lucky enough to visit their head office a few times and get a glimpse behind the scenes. One time, I was able to sit in on a buying meeting for their menswear section. The vendor didn’t bring in samples of men’s tops, bottoms, suits, etc. They brought in men’s dress shirts. And they didn’t just bring in men’s dress shirts; they presented men’s slim fit dress shirts. That’s all they were selling and they were the go-to vendor for slim fit dress shirts. The retailer used a different vendor to purchase other styles of men’s dress shirts, another vendor for suits, another one for accessories, etc. And these vendors were selling to some of the biggest clothing retailers in North America, and they still focused on a specific type of product. Not “menswear” or “men’s dress shirts” but rather “men’s slim fit dress shirts”. Within that niche they offered a variety of fabrics, colors and prints. Storeowners use a variety of vendors to fill their store. Each vendor fills a category or subcategory and becomes their go-to gal/guy for a specific product. They don’t need you to supply them with a variety of different products; they want a vendor who offers a specialized niche product and options of it. For example, they aren’t likely to buy pillows, pottery and tea towels in a variety of styles from a craft show vendor but might pick up a line tea towels from the vendor who specializes in floral watercolor tea towels that have a romantic, vintage vibe. If you don’t have a signature style, a USP or thoughtful collections, it may be holding you back from getting wholesale orders. HOW TO SELL HANDMADE BEYOND FRIENDS & FAMILY will guide you through finding your niche within a saturated category (such as soap or jewelry), finding your signature style and creating collections. You have a dedicated table or booth to display your products at a craft show and are able to use props and signage and lighting to get your message across. What happens when you take a few items and place them on a table with another brand’s products? Does your brand’s message still come through? Branding adds a level of professionalism and clearly shows customers the difference between products. In a bath & body store, a gentle, organic, fragrance-free soap will distinguish itself through branding and set itself apart from the line of floral scented soaps or men’s scented soaps. So how do you communicate your brand when you don’t have signs, a display or you to help communicate it? First, you must have a brand. Not a logo, but a vibe and message you communicate through a logo, colors, fonts, copy, etc. Second, you must be clearly showing what your brand is through your existing sales channel. At a craft show, your products, signage, display, packaging, attire, mannerisms, sales pitches, etc. must fit your brand. Third, your brand must be strong in your products so it still comes through when you take those products out of their surroundings. Sleeves, cards or tags for each tea towel, soap or piece of jewelry may be a soft grey and use a feminine script font in a pink or purple color. If you see soft pink, lavender, and baby blue bars of soaps together, “feminine” comes through; strength in numbers! 😉 If you only carry one pastel colored bar of soap, it’s harder for a storeowner to buy multiple pieces that work together to communicate your brand. Storeowners need products to communicate a brand’s message so shoppers are able to distinguish between multiple products within a store and find which ones are right for them. They can’t always have a sales associate standing by, explaining the story behind each product the way you might be able to at a craft show. If your brand is non-existent or lacking, download HOW TO SELL HANDMADE BEYOND FRIENDS AND FAMILY. It will walk you through how to define your brand and explain all the areas it should be coming through. Your business is not only being judged on its products, it’s also being judged on how they’re displayed. A storeowner doesn’t have time to constantly play around to get products to sit just right or into the perfect position. They have hundreds of products in their store and they need to be able to easily merchandise them all. Here’s what I mean by “merchandise”. When I was a regional merchandiser for the major retailer, it was my job to make merchandise look good in a store and boost sales through display. The retailer didn’t just want to sell a top; they wanted to sell the top and the complimenting blazer, skirt, nylons and handbag. Most shoppers won’t run from one side of a big store to the other to pair things together; they’ll just buy the top and call it a day. But if they see it all together, they can visualize the look, easily grab their size and head to the dressing room or checkout. That’s why I’d merchandise all those items together on a table or within a section. But what happens if the handbag flops over and the nylons don’t have packaging? It makes it harder for me to display them on a table or shelf. If storeowners can imagine how your products will look in their store and see that they’ll neatly sit on a table, hang on a hook or stack by their counter, they’re more likely to carry your work. Use a tagging gun to add plastic J hooks to the tops of your tea towels and sleeves so they can be neatly hung in a store. Wrap each bar of soap in a sleeve and maybe even consider offering a display tray to retailers who pick up your products. Show some of your jewelry on hanging cards at a craft show so storeowners can imagine your necklaces hanging in their store. It takes a lot of hard work to start any business, but opening a store requires more startup money and has much higher overhead costs; there’s greater risk. Each move must be thoughtfully planned or the storeowner may not be able to pay their employees, rent, power, etc. each month. Storeowners need to know they’re purchasing well-crafted products, they’ll receive those products on time, and the vendor is going to be professional to work with. 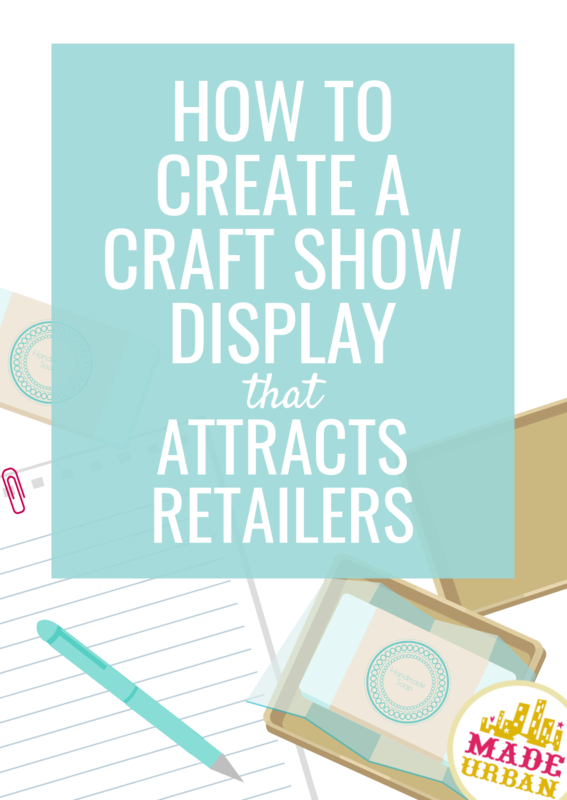 If your craft show display doesn’t look professional, you don’t look enthused to be there or your operation seems unorganized, storeowners likely won’t take a chance. Make sure you look the part of a business owner representing a brand and be prepared for storeowners. If one stops by your table and inquires about ordering, what will you say? Do you have a lookbook? Line sheets? Wholesale prices set? We hand pour soy candles and make wooden items for your home such as cheeseboards, cutting boards, coasters, Christmas décor and ornaments, etc. We have wholesale deals with a couple of local stores, but are looking to diversify and get our products out to a wider audience than Western New York. I really appreciate your articles and they have really helped us take our business in a great direction. Thank you! The problem I am having is my wish to change product lines. I really want to make little girls’ and boys’ clothing to sell. I have been successful selling apron sets for moms and girls; mostly little girls’ aprons. I reopened my etsy shop under a new name and without aprons. It’s getting likes and favored once again. No sales. I have two businesses at present with 3 days of sales at two shows coming up. I want to introduce my new line, but I know that doesn’t work; it confuses my customer, my USP isn’t clear. One of the sales is at a school and the other is at a corporate office. I believe I should introduce my new line of little clothes at the corporate office show and keep the apron line for the school. My goal is to phase out adult aprons. I do have a both lines on consignment in a gift boutique since August, and have done fairly well there. The owners love everything I make. It has been difficult for me to change product lines because I want to sell both at once. Kellie – thank you so much for reading! That’s amazing that you already have your products in local stores. It will be beneficial when growing wholesale accounts; you know the process to follow (just translate it online since you can’t meet with every store owner in person). And the fact that you’re already in stores shows new retailers that your products sell well in-store and you’re capable of fulfilling wholesale orders. Wishing you lots of luck! Jo – that’s great your lines have been doing well on consignment! When introducing new lines at a craft show, it can be beneficial to make the majority of your display focused on your main products that you know sell well (aprons) and a small space to the products you’re trying to phase out (adult aprons) and in (children’s clothes). For example, you may simply display one adult apron or have a couple on your table (with more stock behind the table) and give the majority of your space to little girl’s aprons. Then you may also display a few girls’ clothes (so it makes sense with the little girls’ aprons) and if someone is interested in that product, you can simply mention you also make little boys’ clothes. Slowly introduce more girls’ clothes based on what garners the most attention. If the products you’re trying to introduce aren’t selling well, try to determine why not, and even why your aprons do sell well. Use craft shows to gather feedback on new lines and ask for the boutique owner’s opinion too. They may have feedback based on samples you bring in, or if they decide to carry a few pieces, their customers may provide feedback. Good luck with the new line! Thank you Erin, for your guidance and advice. It’s just what I was needing! I am a big fan of yours and love reading all of your ebooks and your emails that I subscribe to as well. I will definitely take your timely advice on introducing my Lily and Rose little clothes at my events this week. Thanks for the information. Very helpful. I have 2 shops on a consignment agreement. I met one of the owners at a show. I’m now in the midst of streamlining a line that lends itself better to wholesale. I hope your future articles will address the topic of wholesale. Thanks again and much appreciated.